I can feel how close we are getting to the end of Lydgate’s “A Complaynt of a Loveres Lyfe,” and perhaps to a possible resolution. Withal, I will begin this post from where I left off last time. But at her lust wilfully to dey. The lady takes on the godlike features of the powerful figure in the previous stanzas, and she becomes the knight’s liege. His obedience is sworn to her, and she holds complete power over his self and actions. Fully to be at her commaundement. Whatsoever she list with hem to do. Ryght at her chose, wher hit be lyf or dethe. To Bialacoil leve I myn hert” (lines 4610-4612). As the lover is bequeathing himself to his lady in the Romaunt, he uses various physical components of himself to denote the intangible attributes he relinquishes as her loyal vassal. Lydgate’s knight also pledges himself at length. Bothe lyf and dethe, my joy and al my peyn. When that her list fro my body wynde. Lydgate’s lady is here far more autonomous and in control than in other renderings of this scenario. For example, in the Romaunt the lover would at this point swear his oath to the god of Love (lines 1955-1956). Lydgate’s lady does not require an intermediary, and she acts as the sole force acting upon the knight, while also being the sole receptor for all that is promised through his oath. Even though several other deities and powerful beings have made an appearance throughout the poem, as we approach our closing, it is only she who matters. And holde his pese and spake a worde no more. That I hym sawe so languysshing for his trouthe. The pain the knight experiences is a conventional manner of expressing grief. Lydgate uses similar language in Belle Dame: “His woful hert, almoost it brast atwayne” (line 799); Thebes: “hertys felt almost ryve asonder” (line 4500); and Troy: “Þan for to se þe wo he dide make, / It wolde haue made a pitus hert as blyue / Of verray dool asondre for to rive” (Book 1, lines 4268-4270). As for the narrator’s pity, that too is a convention in which whoever speaks of an unrequited lover must also make note of the pain caused by watching them in their wretched state. Fro yer to yer under the bowes grene. Much like Palamon in the Knight’s Tale (line 1072), the knight here retires to privately complain of his woes, under “bowes greene” like Troilus (line 821). “Parfourned hath the sonne his ark diurne” in the Merchant’s Tale is when Chaucer coined the term “diurnal,” that Lydgate uses here. Passyng the bordure of oure occian (Prologue, lines 127-131). The last lines of the stanza are a reference to Phebus who drives his chariot across the sky. I have here set, your hertis to dysporte. I axe mercie and forgevenesse. This stanza starts with the imagery from where the previous one left off, namely with the sun, and his effect upon the sky; “rowes rede” is a reference to dawn that comes from Chaucer’s Complaint of Mars (line 2), which Lydgate will recycle in his Troy Book (Book I, lines 1199-1200). Now that we have heard the knight’s lament, the narrator continues to interject with his own intentions of writing down all that he has heard, for better or worse. 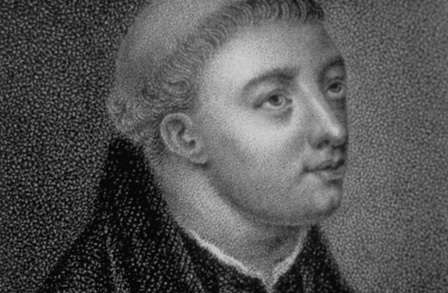 His speech begins another conceit, that of the apologetic writer, who, much like the narrator in the Canterbury Tales, along with numerous other medieval works (Troilus, Book II, lines 17-19), feels inadequate to the task, and begs his audience to blame him if he has in any way mistold the tales of others. Is wont of custom for to shew at eve. In the midst of his speech, the narrator gazes upon the clearest of stars, Esperus, that is a compilation of Chaucer’s idea of Venus as the evening star in Boece, along with Lydgate’s own idea that he fully flushes out in Temple of Glas (lines 326-331). Next time, as I wrap up the poem, we will see where the story goes from here and find out whether the narrator and lover will ever interact, or if the narrator will only serve as a voyeuristic presence, unseen by the knight.